I've never been too convinced by gradual tanners and have always preferred to slather on the St.Moriz before a night out and hope that it doesn't rain and that no-one spills a drink on me, but after picking this up I think I may have been converted. 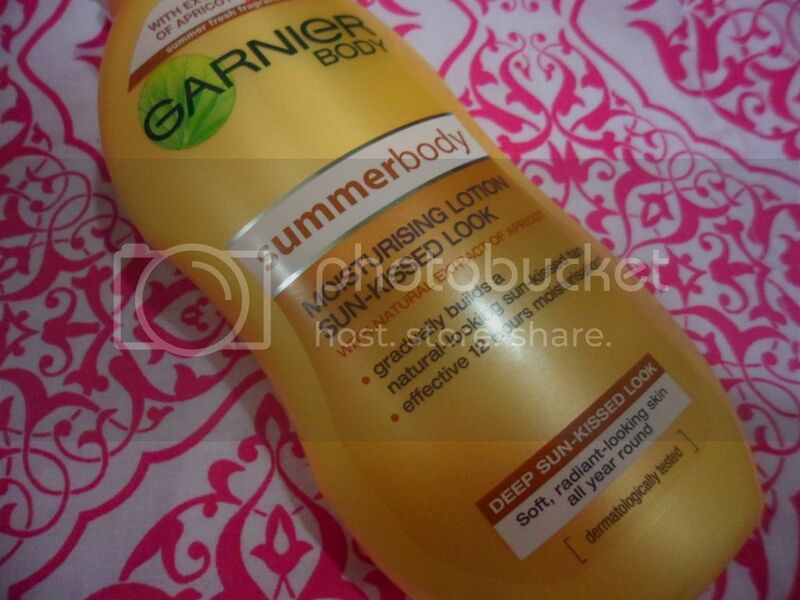 Garnier Summer Body Moisturising Lotion claims to build a natural sun-kissed tan alongside 12 hour hydration, and I completely agree. After only using cocoa butter to moisturise, I didn't think that the thin consistency of the Lotion would quite cut the mustard when I comes to my dry skin, but it's perfect. My skin feels softer and more supple after using it and the light apricot scent lingers on the skin too, a welcome change to eau de biscuit. I didn't expect the tan to develop as quickly as it did either, after two applications my skin was noticeably more sun kissed with no trace of patchiness or the dreaded orange knees! The tan lasts a good while too. I skipped the Summer Body for a few days, and the colour hardly faded. I definitely think I will be repurchasing this and passing up on my instant tan for a while. What do you think of gradual tanners? I picked this up when it was half price in Superdrug and have enjoyed using this over the summer. You get alot of product for the price and if you exfoliate well before applying it - it develops quite evenly and builds to a lovely colour.